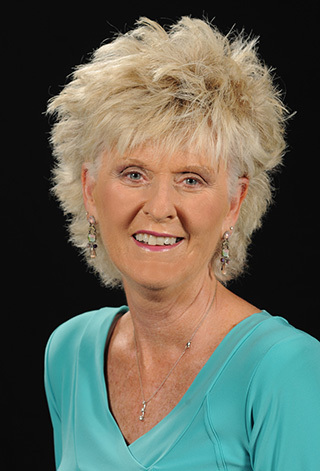 Dot Sheehan, founder, president and CEO of Operation Hat Trick, will headline the New Hampshire Tech Alliance's TechWomen Power Breakfasts on Wednesday, January 9. Sheehan will discuss the journey she took turning an idea spurred by a radio station trivia contest into a multi-million dollar, globally recognized retail business. The January Power Breakfast will be from 7:30 to 9 a.m. at the Portsmouth Country Club, 80 Country Club Lane in Greenland. Operation Hat Trick, and Sheehan’s journey to success, are both based on an idea that was born as the result of a Boston radio station trivia contest question – “What is the one thing most wanted by head-wounded soldiers returning from Iraq and Afghanistan?” The answer? Baseball caps to cover wounds, burns, swelling and bandages. Since this moment in 2007, combined with the loss of two University of New Hampshire community members in Iraq in 2008, Sheehan’s brand has grown significantly. With roots in the collegiate space – when the University of Notre Dame urged Sheehan to take her business national — the University of New Hampshire was the first to get involved. The mission of Operation Hat Trick is to generate awareness and support for the recovery of wounded service members and veterans through the sale of branded merchandise and products, including hats, apparel and other merchandise, proceeds of which are donated to selected organizations. Since 2014, Operation Hat Trick has donated over $1,000,000 to programs, supported by more than 1.6 million consumers who have made a “purchase with a purpose.” Operation Hat Trick is supported by over 350 leading universities, two living presidents, the NHL, NBA, MLB and other major corporations. Operation Hat Trick is a nonprofit organization founded in 2007. Prior to launching Operation Hat Trick, Sheehan was the senior associate athletics director for external relations at the University of New Hampshire (UNH) and president of Sheehan Sports Marketing, a consulting firm that represented professional athletes. She was one of the first female agents in sports and has continued to work with women whose goal is to turn sports into their career. She was awarded the UNH Alumni Association Profile of Service Award in 2012 and the 2013 Innovators’ Award, the first female and UNH staff member to receive the award. The January 9 TechWomen Power Breakfast is sponsored by New England BioLabs and C3 Metrics. Tickets to the Power Breakfast are $10 for Alliance members and $20 for non-members. Tickets are available here or by calling 603-935-8951.